A Voice has a posting entitled SC Chairwoman renewal politics? "The feedback received from conversations with few banker and fund manager on her have been good. It is her sheer good luck that those spoken are baik sangka (well intention) people. She was described with great superlatives on her integrity, ethic and work rate. "Perhaps the ECM Libra-Avenue merger debacle is an exception. She was then thrown in the deep end of the pool early in her appointment. Would be good if she could clarify the issue once and for all." Updated 6.30 pm, 26/3/2010: Securities Commission chairman Zarinah Anwar to stay on as chairman for another year when her current contract ends on April 1, 2010. End of 6-year wait? What I hear is Proton - VW tie up to assemble cars is in the offing next month. This would be Proton's biggest coup in more than 20 years - since Mitsubishi. It also ends the national car company's 6-year wait* under Pak Lah's administration to find a partner. Bringing in VW is a major feather in cap for Malaysia. It also means fresh employment opportunities as VW will fill up Proton's Tanjong Malim plant's utilisation gap. * While Pak Lah failed to get a partner for Proton, he did succeed in selling one of the world's TOP motorcycle brands for ONE euro. The company is now worth a couple of hundred million in DOLLAR terms. How does Zarinah Anwar the SC boss fit into all this? Well, her contract is ending and if she goes off on April Fool's day, then the person many blame for not pushing the Proton board hard enough on the sale to GEVI would be gone. Some say she should also answer for the ECM Libra-Avenue deal, but that's another story. Zarinah is good in the regulations, but not in her investment sense. Now you have peeved a woman. Haven't you heard about what a woman does with her wrath? Man, you certainly are living dangerously. Its one thing to peeve all the "opposition" supporters, but to.....!! good luck to you on this one!! Why let a Pendatang company come and take away our oppotunity? Are they worth more than our own Cina who are equally capable in turning Proton around? What got to say for Ibrahim Ali now since it is clearly a missed oppotunity for us Melayu right under his nose? If we Melayu give up so easily than how to achieve 30% wealth? Is not Pak Lah fault, is Ibrahim Ali barking up the wrong tree. flip flop n co bertanggungjawab dalam memusnahkan Proton. azlan hashim pengerusi perosak. kalau betul zarinah pun gitu juga, dia pun bertanggungjawab. kalau benar pun dia ditekan, mana intergriti yang d perkenalkan flip flop dalam mempertahankan aset negara. datuk, kalau boleh tolong tanya syed zainal kenapa Proton guna logo perak n hitam d kereta sedangkan lambang Proton lain. syed zainal pun masuk saham dengan menerangkan kepada semua kononnnya Proton rugi sekiranya tidak menjual mv agusta. syed zainal wajib bertanggungjawab dalam hal ini. beliau masuk selepas flip flop n co tidak sambung khidmat tm yang mempunyai impian mereka kereta RM 10K yang tak termampu d lakukan oleh syed zainal sendiri selepas waja campro berharga hampir sama wp tidak membayar royalti kepada mitsubishi. TM pernah kata waja dengan enjin mitsubishi kita byar enjin dengan harga 60% harga kereta. dengan enjin sendiri-campro, waja boleh d kurangkan kerana hanya 20% harga kereta. On the day ASTRO was suspended, the stock went up alot... so many buayas in SC and Bursa bought the stock on contra on that very day. Who is going to investigate SC and BURSA, when they are the biggest manipulators. just make sure mandatory go to jail for any director that fail their duty. if just money they can pay 1 or 2 million is nothing when they can get more. She once called me to ask for Najib's contact number at the MoF, and I said: " You are kiddng me right?!". For a person who canot even acquire her boss' contact number so what can I say! if gd on regulations does unethical green light will not pass...maa..so investment also dunno..that y sc people when in private sector they are like pshyco..
BYD, the Chinese carmaker linked to Warren Buffet and Vincent Tan, are interested in taking a small stake in Proton, so they can assemble the Chiness cars here, most likely in Pekan or Tanjong Malim. Zarinah disrespected Tun Mahathir. Its Karma time. Yes, Under Dato Najib, Malaysia finally shows that she once again can really BOLEH. He even can make cows such as Azman Mokthar deliver. Taniah Dato Najib. Zarinah is going for bigger shoes lah. 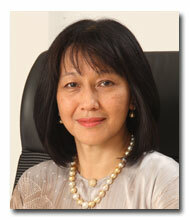 few months ago she was tipped as next Bank Negara Governor but now fissed off. I am not surprised with her strong connection with the administration and the corporate world.I think she is also fit for a ministerial post if she could be appointed as a senator. Is Zarinah going to get a nasty April fools day joke? I bet dia ni, tak lama lagi jadi Hakim. Rocky, I think you have been misinformed. It's not Zarinah's fault here. IT'S KALIMULLAH ADN KHAIRY'S FAULT!!! When Tony Fernandez took over AirAsia, he took oevr the huge liabilities of that ailing company as well. He then worked hard, albeit working up some the wrong way, paid up the 'hutangs' of the company and took it on a new course to what it is now. When you said that a company was sold during Pak Lah's time for one Euro - you did no tell the other side of the story on the liabilities the company had at that time. Either you do not have good business acumen or the recent title you got must be impacting your sights, so much so that you cannot see issues in totality anymore. Biasalah tu, si Zarinah.. buaya besau. I hope unlike catholic priest who sodomise lil boys, and then get transfered to other places, those in SC, Bursa and Proton who are guily in lop sided sale of the motorcylce buisness to GEVI, are not transfered or promoted elsewhere. Najib, dont be a prick like the Pope. Take action, on the guilty ones. Justice must not only be done, it must be seen to be done. Just get rid of Zarinah, she's more of a puppet taking "instructions" from the SKY instead of leading SC. The "back-door" acquisitions of Avenue by ECM Libra was completed within 1 week, the fastest M&A in Malaysia corporate history, thanks to the "full cooperation" of Zarinah and of course Tengku Zafrul (another KJ's boy). Look at ECM Libra now, after the acquisition on Avenue in 2006, they are not making any big impact in the Msian financial sector. With Tengku Zafrul is now in Kenanga, give yourself 1-2 years before ECM Libra emerges as the major shareholders of this Bumiputra company. Sad but true! When are you going to "zoom in" Tabung Haji? Tabung Haji invested about 40% of its 25bn fund in equity (vs EPF of < 20% of the RM300bn++), u can refer to TheEdge weekly interview with SGM, Corporate Services, Datuk Syed Salleh. Despite the strong market upsurge in 2009, Tabung Haji declared only 5% dividend (vs EPF of 5.65%) in 2009, similar to 2008 (EPF: 4.5%). What is the logic? Obviously, something is not right somewhere. Please start digging Rocky. That amir at 10.27 is not me. I have no thoughts on the matter. Dei Parameswara, Tony NEVER tookover Air Asia from DRB. Secondly, the aviation business which Tony took over from DRB, didnt have an international niche brand name like the motorcycle brands sold by Proton to GEVI. The brand name is worth millions. . . just go and ask Coke, Mcdonalds, Google or even 7 - 11. Sometimes, the brand name is worth even much more than the real business. Tony, marketed Air Asia as a brand initself. So I am might surprise that the people near him such as Zafrul, KJ, Kamaludin, Kalimulah, Azman Mokthar, Kean Onn,Azizan (Zarinah's hubby) Pak Lah and Nor Mohd Yacoob know NUTS about valuing a brand's economic value. If they knew, or maybe didnt want to know, the ONE Euro sale of Proton's most valuable global motorcyle brands would not have happened. Tengku Zafrul sold Avenue to KJ and Kali! That is a fact. As a "token of appreciation", he was offered a job in Citibank as "Head of Whatever", with a salary of rm100k per month. His job in citibank is simple - DO NOTHING! After 1 year of hibernating in citibank, he later joined those pirates (KJ and Kali) to become CEO of TuneMoney. After a while, he got bored and made up story in the media that he was "adviced" to leave TuneMoney. But in actual fact is KJ and Kali saw opportunity to acquire Kenanga and as usual they "planted" Tengku Zafrul into Kenanga. Now Tengku Zafrul is the MD of Kenanga Investment Bank. As Zafrul's ex-wife said above, it is a matter of time before ECM Libra will takeover Kenanga Investment Bank. If this is the kind of CEO that is going to lead Malaysia GLCs, then, GLCs will surely become Guaranteed Losing Companies. Talking about the mandatory general offer (MGO) not conducted by Avenue Capital Bhd, what about when the Singaporean Parkway bought into Pantai Holdings in 2005. How come ini boleh? If GO was imposed, how much more would Parkway need to pay innocent minorites shareholders? nothing will happen. she will either stay or get promoted elsewhere. No wonder, got never ending leakage in malaysia. nothing changes. Rocky, why you still cannot let go of Pak Lah's ghost !! At least The Krauts willing to share the auto technoly with the natives. Chingkies kedekut, sudah partner dan titun satu katil 50 tahun, masih mau rahsia itu teknologi bikin alignment kereta. Lu tengok Bengkel melayu natives mana ada bikin alignment tyre. Patutlah. Rupa-rupanya ada udang di sebalik beruk. COUNCIL ET ALL HAVE NOT COME FORTH TO SCREAM AND SHOUT ON BEHALF OF THIS POOR GUY??? WHERE ARE THE CRIES OF 'JUSTICE DELAYED IS JUSTICE DENIED??? WHERE ARE THE MARCHES IN THE NAME OF JUSTICE AND HUMAN RIGHTS FOR THIS POOR GUY??? I CHALLENGE THE PRESIDENT AND COUNCIL MEMBERS OF THE BAR COUNCIL TO DENY THAT THEIR REASON FOR STAYING MUM IS BECAUSE THEY PRACTISE SELECTIVE ACTIONS,THEY ARE PRO-OPPOSITION BECAUSE THE ACCUSED IS THE LEADER BEING DEFENDED BY A SR. MEMBER OF THE BAR WHO HAPPENS TO BE AN INDIAN. Zarinah will be Governor Bank Negara on Aril 1. Zettty will be roped in the Neo Economic Policy on Mar 30. Dont bluff about Zarinah asking Najib's phone number from you. She is so kamceng with Najib. Who are you compared to Zarinah? who are ypu compared to Kalimullah? Dont flatter yourself, you conceited man. The threshold for a MGO is 33% in Malaysia. 30% in Singapore. As per the takeover code. Please read Utusan Malaysia's article below on Tabung Haji. Rocky, are you going to close your eyes and let those bastards continue robbing Tabung Haji? If things are ok in Tabung Haji, Tan Sri Hanafiah, the former chairman of Tabung Haji will not make this statement in the first place. Think about it bro. ‘‘Soalnya kenapa boleh timbul cadangan untuk memiliki hotel di negara itu sedangkan keutamaan perlu kepada pemilikan tempat penginapan di Arab Saudi yang akan memudah dan menyenangkan umat Islam menjalankan ibadah haji,’’ katanya. ‘‘Saya memang takut melihat keghairahan mereka melabur. ‘‘Jangan membuat pelaburan ala koboi kerana ditakuti institusi ini ‘runtuh’ sekiranya ia tidak dipantau dan dikawal,’’ kata beliau kepada Utusan Malaysia di sini. Just because she's a woman does not mean she is better. Women managers are just as bad some men. Peminat setia TZ, satu dunia sudah tahu Tengku Zafrul yang menjual Avenue kepada Khairy sejak azali lagi. Sebab itu ler Tengku Zafrul hidup senang lenang sekarang. Padahal semasa dia bekerja di CIMB, dia hanya kerja buat surat sahaja dan selalu HILANG sewaktu masa pejabat. Is this info useful enough? Source: Tabung Haji (invesment monitoring unit). Out of 200 stocks owned by Tabung Haji, only 30% (or 60 stocks) are profitable. Total losses of those 140 stocks that are in the red are about RM2 billion! Now, that should explain why Tabung Haji paid the same dividend rate of 5% for 2009 when KLCI surged >40% last year. To Anon/1.16pm who said "Dei Parameswara, Tony NEVER tookover Air Asia from DRB", please note. The airline was established in 1993 and started operations on 18 November 1996. It was originally founded by a government-owned conglomerate DRB-Hicom. On 2 December 2001, the heavily-indebted airline was purchased by former Time Warner executive Tony Fernandes's company Tune Air Sdn Bhd for the token sum of one ringgit. Fernandes proceeded to engineer a remarkable turnaround, turning a profit in 2002 and launching new routes from its hub in Kuala Lumpur International Airport. Itu lah, when we want to keep it simple, you buggers want to pull wool over everyone's eyes and divert from real issues. The fact is - the folks now helming GLCs and semi-government bodies are mainly handpicked for the connections they have with political masters of the day (at times with sons-in-law or even sons). And it has to do with managing the resources meant for the rakyat. Not their own grandfather's money. When they fail (in managing the resources for and on behalf of the rakyat) they just move on to another area to do the same. However they make sure that they enrich themsleves at all costs - not just through salaries and allowances but also 'looting' the coffers under the guise of 'appreciation' for services well rendered and also for obeying the political masters. Just tell me lah, when government linked corporations go into the red or financial difficulties, do you not see the buggers who managed such entities always end up becoming richer? You now looking for more wool? Kepada Dato Sri Najib, bila pula kes MV dijual 1 Euro hendak disiasat dan didedahkan siapa dalangnya. Jika skandal PKFZ boleh didedahkan, kenapa skandal MV tidak boleh? All you commentors have missed the point completely. Zarinah (sister of Zainah Anwar of Sisters in Islam) is a Nor Mohd Yakop crony. For your info, she is an anak mami juga. Which makes Zainah also an anak mami. Her appointment to SC was with Nor Mohd's blessing - an anak mamak. She comes from Shell where she filled the bumi quota in Human Resources - like Idris Jala. She has not achieved much at SC. What have they achieved. She depends a lot on Dato Chris - the ED. We need to clean out the country of all these cronies and corrupted folk. Anyone remotely linked to Badawi, Khairy, Nor Yakob, Kalimullah must be removed. Unfortunately Nor Yakob is still around. Khairy maybe elevated. Zarinah to BNM? Kalimullah is enjoying his millions. If Najib does not remove these people, Najib will be removed. You are right about Tony F taking over the ailing airline for satu ringgit. He got the OK from The Old Man, who saw the potential and was "sold" on Tony's determination. If you ask Tony, that would be his story - that Dr Mahathir made it all possible for him and Air Asia. Zarina shouldn't be too peeved with my posting. She is SC boss and issues such as MV Agusta and ECM-Libra should be clarified for the sake of her integrity as well as SC's and Najib's administration. In this age of transparency and accountability, my view on Agusta and people's perception of her role are relevant. Former PM Mahathir wrote to the SC seeking for clarification on the sale and if I'm not mistaken he never got an satisfactory answer. Now that her contract has been extended, she should seize the opportunity to make things clearer to us Malaysians. The SC demands transparency and accountability. It should practice what it preaches. I totally agree with Baharudin. That was what really happened. So Proton board was right in disposing Agusta. Proton was bleeding because of Agusta. Anyway Proton is a car maker, not a bike maker. Agusta was not Proton's core business. It was Proton's business decision to sell off Agusta. You can't blame the regulator. It is not SC's job to tell Proton how to run the company. Batang Kali was right. It is a thankless job being a regulator. People shld look at the bigger pix, abt nation building. How to make malaysia a high growth, high income economy. Not dwelling petty issues or making highly defamatory remarks against innocent people. SC is highly regarded by other regulators around the world and yet we Malaysians are running down on honest people doing honest work. Sebagai blogger yang dihormati dan bertanggung jawab, Dtk perlu moderate komen-komen yang menyentuh peribadi dan yang boleh memalukan individu-individu tertentu. Tahniah Tan Sri Zarinah kerana terus diberi kepercayaan oleh PM untuk menerajui SC. Well done and good luck. Berani kerana benar. Datuk, I think we should put aside the Proton, Agusta, Air Asia. ECM Libra and the SC Boss who got extended, these entities can take care of themselves and the shenanigans in the ECM Libra will soon come out, if not now it will be in the near future, what goes round will always come round. Looks like the revelations at Tabung Haji Investments where there are more then 5 million members are of very serious concern. The powers that be should have a closer look at Tabung Haji and their investment methods and decision makings. Just because people go to work looking all pious on the outside does not mean its all good on the inside. I read thru all the comments and surprisingly most of the rogues and culprits mentioned are the Malays.....probably we have too many Malays heading the corporate world (besides the public sector). The sad thing is that we are just trying to kill each other for whatever reasons...how are we ever going to be a great respected race in Malaysia? Its very true plenty of hanky panky had been going on in Tabung Haji from the early days...those in power know about this! Setelah membaca banyak komentar dari para pembaca setia halaman ini terhadap kerugian pelaburan yang ditanggung oleh Tabung Haji seperti yang tertera di atas, saya berharap saudara sedia membantu kami pendeposit2 yang bakal megerjakan ibadah haji (insyaallah) dengan melapurkan perkara yang sebenar (yang cuba diselindungkan oleh pihak pengurusan Tabung Haji). Saya percaya kenyataan Tan Sri Hanafiah Ahmad di Utusan Malaysia pada Mac 2010 perlu di pandang serius oleh semua pihak kerana tujuan utama penubuhan Tabung Haji ialah untuk membantu jemaah2 Malaysia menunaikan ibadah haji, dan bukan sama sekali untuk menghabiskan duit pendeposit2 dengan pelaburan yang tidak menguntungkan. Perkara ini perlu dibendung segera sebelum Tabung Haji terus ghairah membuat pelaburan2 berisiko tinggi yang bakal membawa padah kepada pendeposit2. Please read the article below by The Star about Tabung Haji's plan to buy properties in Europe. If Tabung Haji wants to buy more properties in Mekah or Madinah for the convenience of malaysian pilgrims, we can understand that, but why Europe? What is the synergy? So the CEO and his buddies can frequently visit Tabung Haji's investment in Europe? Are they out of their mind or what? Please cut the crap! Aku rasa CEO Tabung Haji confused dia kerja dengan Tabung Haji atau Khazanah. Oi Ismee, kalau betul ler kau sudah gian sangat hendak melabur juta2 kat luar negeri, kau masuk aje Khazanah. Kau pegi join Azman Mokhtar, Ganen dan terbaru Danny (Rashdan). Biar lebur duit kerajaan. Tolong jangan kacau duit orang nak pergi haji! Tabung Haji doing a fine job. You people are just pissed because not getting a piece of the action. Stop tis anti tabung haji campaign. You guys sound like pro PKR people out to smear Dato Najib. Sebelum menjawat jawatan CEO Tabung Haji, Ismee Ismail, adalah CEO ECM Libra Securities (Kalimullah, Lim Kian Onn dan David Chua). Beliau menjadi CEO Tabung Haji semasa budak2 tingkat 4 berkuasa di bawah pimpinan Pak Lah. Kalau sudah tahu Ismee ialah lanun besar, sampai bila Najib masih hendak menutup mata? Business development of arab Malaysia development Berhad. He has also held various positions in shell Malaysia. datuk ismee is currently the Group Managing Director and Chief Executive Officer of Lembaga tabung Haji. He is also a director of BiMB Holdings Berhad and tH Plantation Berhad. The current CEO of Tabung Haji was ex-ECM Libra? That is suicidal! Assalmlkm, it is sad to see how we make comments and accusations without providing emphirical evidence. Inilah budaya orang melayu. Macam mana kita nak maju. Difference between EPF and TH pun tak tahu? If you are not familiar with their investment criteria, Tak payah comment. By the way, what TH is considering to buy is not a hotel. If that fact can be inaccurate, many so called facts here can be flawed too! And by the way, Zarinah is not anak mami la...itu pun tak betul. She is from Muar, Johor.